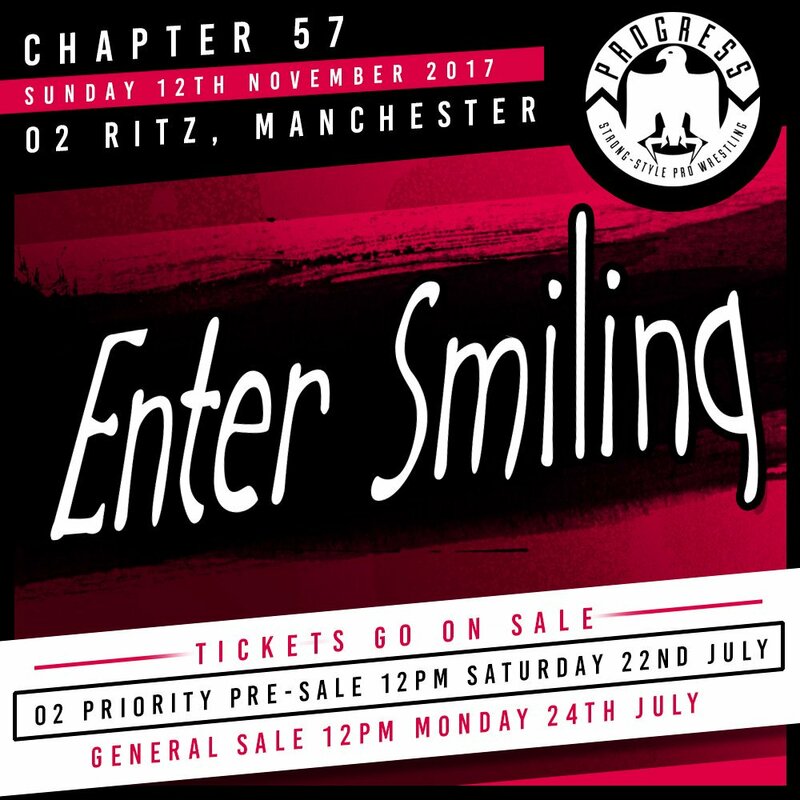 A PROGRESS Wrestling realizou no domingo o Chapter 57 intitulado "Enter Smiling". Estes foram os resultados. Jimmy Havoc & Mark Haskins derrotaram Jack Sexsmith & Matt Riddle com um Acid Rainmaker em Jack. Joe Coffey derrotou Doug Williams com um Discus Lariat. Após o combate Doug disse que continuar lutando após 25 anos. Alex Windsor derrotou Candyfloss, Dahlia Black e Jinny com um Cradle DDT em Candy. British Strong Style (Pete Dunne, Trent Seven & Tyler Bate) derrotaram Joseph Conners & The Grizzled Young Veterans (James Drake & Zack Gibson) por DQ. Após o combate Pete Dunne desafiou Conners. PROGRESS Tag Team Titles: CCK (Chris Brookes & Kid Lykos) (c) derrotaram Ringkampf (Timothy Thatcher & WALTER) com um Brainbuster em Thatcher. Keith Lee derrotou Morgan Webster com um Death Valley Driver seguido de um Powerslam. PROGRESS World Title: Travis Banks (c) derrotou Mark Andrews com um Border City Stretch. Eddie Dennis atacou os dois lutadores após o combate.